In terms of The City of Cape Town's bylaws, it is illegal not to attend to obvious leaks, including water leaks from pipes, taps and other plumbing fittings such as leaking geyser overflows. Even toilet cisterns and dripping shower heads can be sources of obvious water leaks. Even a small leak or dripping tap can be responsible for large water leaks, and huge water bills, in the long run. 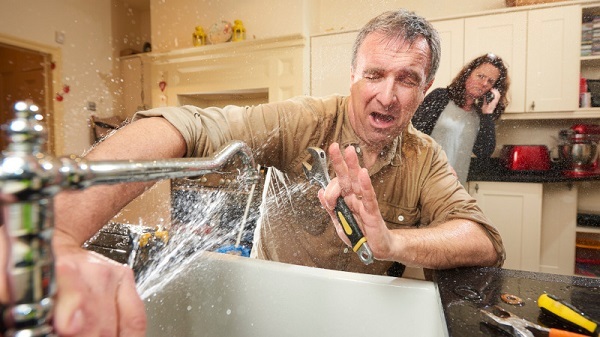 Many obvious leaks can be fixed yourself, without a plumber. But it is the not-so-obvious leaks that cause by far the most water wastage in the long term and are often the most expensive. Many homeowners are completely unaware of water going to waste because many water leaks are not so obvious and are difficult to locate. Some indications that you may have a leak include damp walls, algae on stone and water seepage, collapsing walls and green or muddy patches on your lawn that do not dry. If you suspect you have a leak on your property the first step is to check on this yourself. You should also be conduct a water audit on your properties at least once a year. In addition make it a condition of your leases, that tenants must report abnormalities. Monitor your water consumption and note any trends. Who is responsible for repairing leaks? The property owner is responsible for all water leaks and the repair thereof within the property boundaries. Up to the property boundary the municipality will be responsible up to the inlet side of the meter. This place a large onus on the property owner to be vigilant with regard to excessive water consumption if this is caused by an invisible or underground leak on the property. Many property owner insurance policies do include cover for underground water leaks, but in order to claim, the property owner must demonstrate that the loss stemmed from a leak that was not visible, and therefore beyond the control of the owner. Do you have a water leak on your property? It is relatively simple to check if you have a water leak on your property. Close all taps and stop all water usage. (Make sure all water using appliances are switched off - washing machines, dishwashers, and irrigation sprinklers; make sure that no one flushes the toilet or runs water from the geyser. Wait 30 minutes and then take a reading of your water meter. Check your water meter to see whether water continues to flow through it even though all water usage has been stopped. To confirm if there is a leak, take a second water meter reading an hour after your first reading. Subtract the first reading from the second meter reading. This will tell you how much water is leaking every hour. What if you find you have an underground water leak? It can be very expensive locating and repairing an underground or invisible leak. Many older properties have undergone years of development and alterations, most of which will not be documented, resulting in weird and wonderful water piping configurations. With modern water leak detection equipment we are able to detect water leaks with the least damage to walls, floors, slabs or paving. Locating the leak is the professional precision service provided by Leak Detection Services - Contact us for a free quote.